How can remote sensing help in detecting marine pollution ? Images taken from aircraft or satellites can be used to detect and monitor oil and chemical spills, toxic algae and thermal pollution. Remote sensing data are used together with ground data (for example water samples) and laboratory analysis which are needed to identify many of the pollutants. 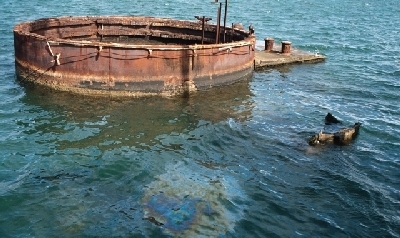 Tutorial m�Marine pollution tells you all about this subject! 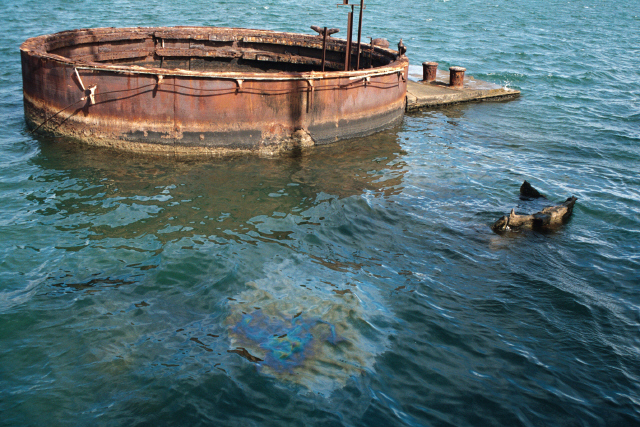 Oil slick visible on water's surface above the sunken battleship USS Arizona in Pearl Harbor, Hawaii.